In this Wednesday, May 17, 2017, file photo, Kansas Secretary of State Kris Kobach talks with a reporter in his office in Topeka, Kan. Legal challenges to a Kansas law requiring proof of citizenship to register to vote, will go on trial next week in a case with national implications for voting rights. At issue in a trial that begins Tuesday, March 6, 2018. is the fate of a Kansas law championed by Kansas Secretary of State Kobach. That law requires people to provide citizenship documents such as a birth certificate, naturalization papers or passport at the time they register to vote. 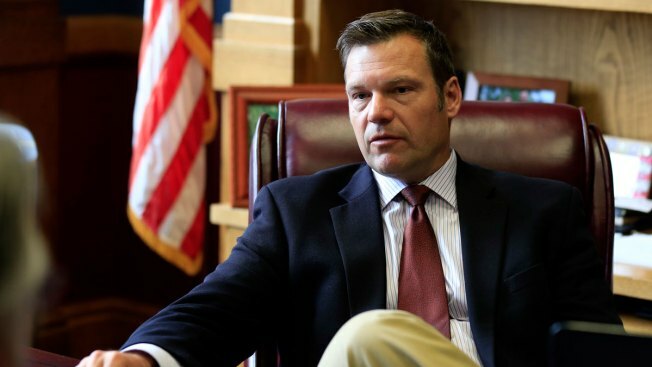 Kansas Secretary of State Kris Kobach defended his state's voter registration law Tuesday in federal court, claiming the measure he championed has prevented between 1,000 and 18,000 noncitizens from casting ballots. During opening statements in a federal lawsuit challenging his authority to implement the requirements, Kobach said one of his experts will testify that the higher end of that range is more likely. He argued the law, which requires people to provide documents such as a birth certificate or passport at motor vehicle offices to register to vote, was much more effective than previous policies that required registrants only to check boxes saying they were over 18 and a U.S. citizen. "Just having to sign something saying you are a U.S. citizen is nothing," Kobach said. Kobach said his office has been able to document 129 noncitizens who voted or tried to vote since 2000, although documentation earlier to the court had the number at 127. He said that number is "the tip of the iceberg and we know the iceberg is much larger." Dale Ho, director for the Voting Rights Project at the American Civil Liberties Union, argued in his opening statement that the law has kept an estimated 22,000 people from voting — most of them young or independent voters. He said of the 127 cases Kobach cited earlier, 43 successfully registered since 2000 and only 11 actually voted, most through clerical errors or misunderstandings. He said even if Kobach's numbers are true, only 0.007 percent of Kansas' 1.8 million registered voters should have voted illegally. "This case is about the most fundamental right in democracy and a law that has deprived thousands in Kansas from using that right," said Ho, who compared the law to "taking a bazooka to a fly." Charles Stricker testified Monday that he thought he was registered to vote until he showed up to the polls in 2014. He told the court how he felt confused and embarrassed as he filled out a provisional ballot at a designated table. His vote didn't count. The Topeka Capital-Journal reported that Stricker testified he made two trips to the local motor vehicle office on the final day he could register for the 2014 general election. He was initially told he needed additional documentation such as a birth certificate and a piece of mail showing he lives in Kansas. When he returned, nobody asked him to provide the documentation and he left assuming he was registered. He testified that when he called the Sedgwick County elections office to ask if he could vote in 2016 an employee told him his status was "complicated" pending unresolved legal issues. That experience motivated him to participate in the trial. 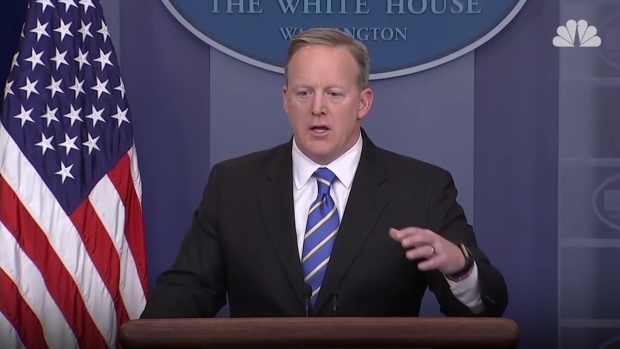 "I don't think the average Kansas citizen should have to sue the secretary of state to get registered to vote," he said. U.S. District Judge Julie Robinson must decide whether Kobach has legal authority to demand the documentation. The lawsuit requires Kobach to show that Kansas has a "substantial" problem of noncitizens registering to vote and the definition of "substantial' is the central legal question of the case. Kobach, the vice chairman of President Donald Trump's recently disbanded commission on election fraud, argues the law is necessary to prevent voter fraud and says even a small number of noncitizens voting could sway a close election. Plaintiffs in the case say incidents of noncitizens registering to vote are extremely rare and argue that such Republican-backed laws hurt voter registration efforts and disenfranchise minorities and college students who may not have the documentation readily available. Since the law took effect in 2013, about one in seven voter registration applications in Kansas were blocked for lack of proof of citizenship — with nearly half for people under the age of 30, according to court filings. Robinson in May 2016 temporarily blocked the law's implementation for people who register at driver licensing offices, a ruling that was upheld by the 10th Circuit Court of Appeals. Host Seth Meyers dissects Donald Trump's latest "illegal voters" claim. In his segment "Hey!" Meyers wonders where the president gets his fact from.